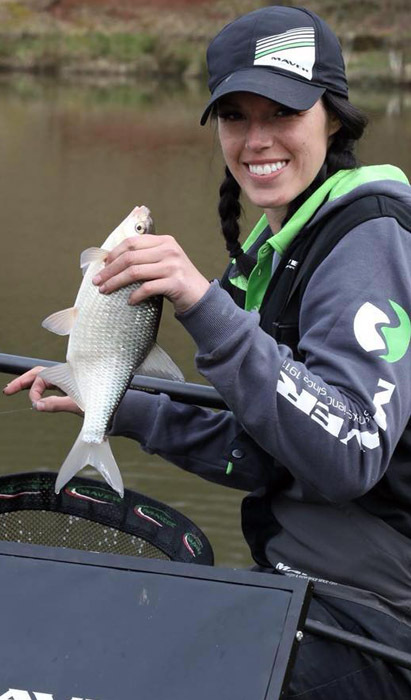 Emma Pickering prepares to fly out to South Africa in a little over two weeks time with the England Ladies Team to participate in the FIPSed 26th World Coarse Angling Championships. The competition will take place from 15th – 16th February in the city of Vereeniging in Gauteng province, using the Vaal River, and the team of six ladies and their two managers are preparing to head to the city on February 7th to allow for plenty of training time. Joseph James Law previously sponsored the team last year, when they attended the World Coarse Angling Championships for Ladies 2018 in Wroclaw, Poland. “This ones a special one as it’s also a World Games so there will be a lot of other disciplines competing as well. A lot of hard work has gone into arranging travel and accommodation whilst the team are out there, as well as general preparation for the event itself, which is particularly difficult given that we can’t take much due to having to fly. As always, we will do our upmost to bring back a gold medal“. “The team finished in second place on their last visit to South Africa, losing out to gold medals by the narrowest of margins. The team, therefore, are more determined than ever to go one better this year“! “I just want to take this opportunity to thank everyone who has supported us in raising the funds for the team to go and for helping with various fund raiser events, etc. Also, a massive thank you goes to JJL who have committed to help support the team for a second year running“. “The extension of Joseph James Law’s sponsorship to the ladies is brilliant. These lasses deserve everything, and I hope we can carry on our relationship with Joseph James Law in the future. I know it’s going to be a tough venue in South Africa with alien fish once again being the target, but the full squad will give their all out there for everyone back home”. “JJL is absolutely delighted to agree with the Angling Trust to sponsor the ladies team for 2018-2019. I was lucky enough to attend the last event and the dedication of the management and team is phenomenal. The firm’s brands are replicated in the team- hard work, will to win and going the extra mile to achieve success. Good luck and bring home the gold”! The Vaal River in Vereeniging measures in at 1,120km long and its flow is managed by the Vaal Dam, which is 37km upstream of the city. The team will be heading out to South Africa in just a few weeks to prepare for the competition and to familiarise themselves with the river and its surroundings.